We had new units custom made for tradeshows. Each of the coloQuick units has a viewing window in both sides, and no they don’t come standard this way. This is way our customers can see how the cartridges of colostrum rotate gently in the bath of warm water, ready to feed in 15 minutes. 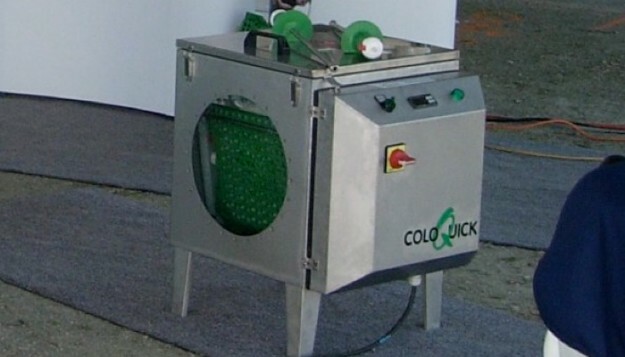 The design of both the cartridge and the thawing unit is engineered for the largest surface are for safe, fast and proper thawing to feeding temp as well as our Pasteur mode to correctly pasteurize in the best manner of not re-handling your colostrum.